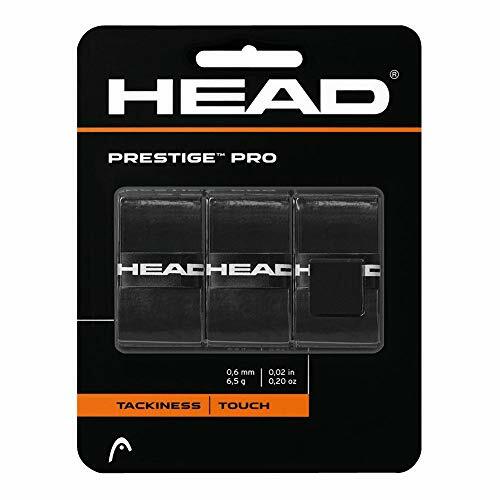 Head Prestige Pro overgrip is made from a new specially engineered polyurethane elastomer that offers perfect feel and maximum tackiness along the lines of Gamma Grip 2 and Prince DuraTac. 3 per pack.Color: BlackSpecially engineered polyurethane elastomer.Maximum tackiness.3 per pack. Head Prestige Pro overgrip is made from a new specially engineered polyurethane elastomer that offers perfect feel and maximum tackiness along the lines of Gamma Grip 2 and Prince DuraTac. 3 per pack.